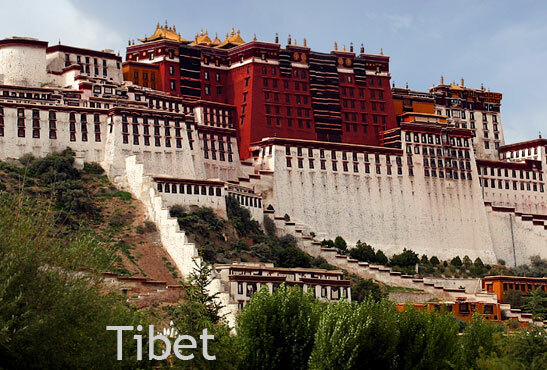 Tibet is one of the most remarkable countries you may ever visit. 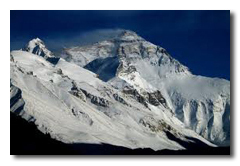 This “Roof of the World” sits at heights generally over 4,000m. Even its valleys are higher than some mountains elsewhere you may have visited! Vast and spectacular it offers turquoise mountain lakes, high passes draped with prayer flags, breathtaking ice capped peaks, vast green valleys filled with grazing yaks and nomadic tents. The Tibetan people have been known to fill the hearts of tourists and travellers with smiles and admiration. Children, with happy rosy cheeks and ruddy complexions, gather and play while the elderly turn large prayer wheels as they chant age-old mantras. Every morning and evening pilgrims circumambulate monasteries and stupas where they offer also butter lamps amidst the smell of burning juniper pines. Fabulous monasteries- many previously destroyed have been rebuilt – and a peaceful, loving people, give glimpses of a magical world where spirituality, in the past, has imbued every stone, crevice and heart. Whilst, especially in Lhasa you will now see many Chinese who also inhabit this place, the deep truth is that the remarkable faith and devotion of the Tibetan people always shines through. 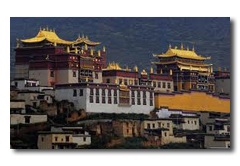 Visit the famous Potala – palace of the Dalia Lama, walk the Bhakor circuit and feel the wonder of the Jokhang. Drink in what was once a mysterious Vajrayana Buddhist kingdom, locked away from the rest of the world and bear witness to the modernisation of today’s Tibet. Tibet, also known as “Land of Snows” and “Shangri-la”, captures and holds a majestic place in the heart of all who journey there. 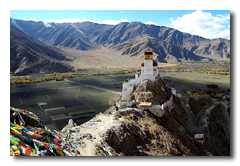 Highlights are the palaces of the Dalai Lamas – Potala and the summer palace Norbulingka, the Barkhor Circuit and the Jokhang. 60 km west of Lhasa - This was the first Gelug monastery in Tibet and houses many murals and sculptures. Hike in what is widely considered the cradle of Tibetan civilization. Visit Samye Monastery - the first Buddhist monastery of Tibet (761AD), where Guru Rinpoche or Padmasambhava as he is also known, defeated many evil spirits in order to bring Buddhism. Many valuable murals decorate its walls. Trekking from Ganden to Samye is a popular route. It is an awesome 270km drive from Lhasa, over two high passes, to this historic town. On the way you can see the turquoise Yamdrok Yamtso (lake) and view the Karo-la glacier. In Gyantse see the architectural wonder of the multi-storey Kumbu stupa and Pelkhor monastery. This is the second largest city in Tibet and the excellently preserved Tashilumpo Monastery (seat of the Panchen Lama) is the main attraction. This high walled and differently coloured monastery is divided into two. It houses thousands of sutras written in gold powder – the greatest religious library in all Tibet. It is 130km southwest of Shigatse. Rongbuk Monastery is the highest monastery in the world and from here you can hike some 8km (approx. 2hrs) to Everest Base camp. The views of the highest mountain in the world (8,848.13 metres) are unforgettable. Vast green valleys are home to nomadic peoples living in yak tents and tend their herds of yak, goats and sheep. Try fresh yogurt or Tibetan butter salt tea with tsampa. You may pass a hot spring in which you can rejuvenate. Kailash, in the remote western region of Tibet, is considered to be one of the holiest mountains in all of Asia and pilgrims of Buddhist, Hindu and Bon traditions will travel there for kora (circumambualtion). This journey is for the spiritual and adventurous - for what you will see and experience it is intensely rewarding. 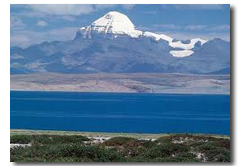 One of Tibet’s great features is beautiful high mountain-lakes. These are just two of the more well known that may be included in your journey. Basumtso lies in the east of Tibet and Namtso, the highest saltwater lake in the world (4,718 metres) lies in the north. 970-kms through four mountain-passes - this route promises a panorama of unsurpassable cultural and scenic diversity. The Qinghai –Tibet Railway climbs to its highest point at Tangula Pass (5072m). The most beautiful scenery lies from Xi’ning to Lhasa. Between April and November you will enjoy the best weather. High altitudes are not passable in winter. 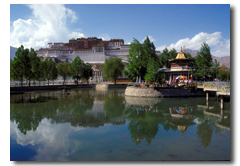 Lhasa, Shigatse, lower altitudes and even Everest base camp, can be visited all year round. 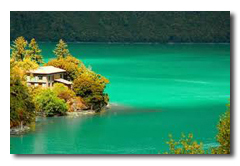 You will need a China visa as well as a Tibet travel permit. We will assist you in organizing all permits and visas but it is advised you contact us at your earliest. Entry to Tibet is generally from Kathmandu, Nepal or from Beijing, Shanghai or Chengdu, China. 1. Send us an email outlining the names, and countries of all travelling plus dates of travel and your interests. 3. Once your tour payment is made based on the agreed itinerary we will process all visas and flights and email them to you prior to departure. 4. 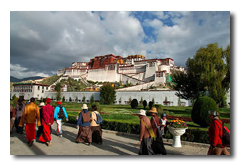 It is advised you contact us as early as possible as visas and itineraries take some time to process for Tibet. Recommended to book at least three months in advance and, if possible, before you leave your home country.